A hybrid of M. sargentiana var. robusta x M. sprengeri ‘Diva’ this wonderful plant will eventually grow into large tree, and capable of reaching up to 10m (30ft) in height, however usually smaller, and it is slow growing. Early flowering, so a frost free position is best. 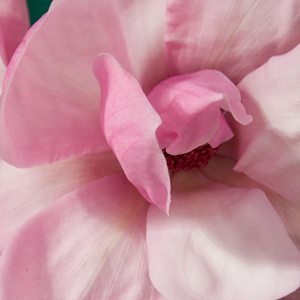 Magnolia ‘Caerhays Belle’ is an upright plant well suited as a specimen tree. Little care and virtually no pruning is required.